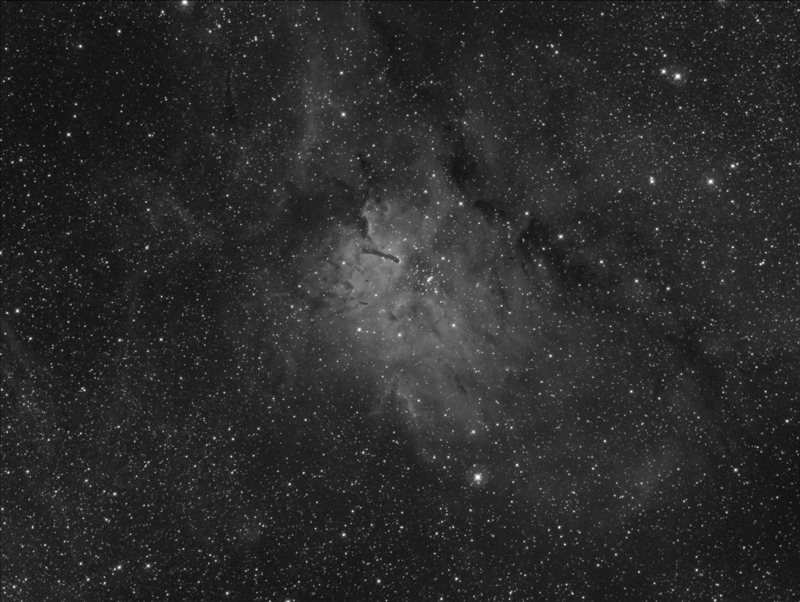 11 x 10 minute exposure in 1x1 binning with H-alpha filter, QSI583wsg and 8"ASA F/2.75 Astrograph on September 22, 2012 from Beilen. Due to collimation problems with my ASA, I did not produce that many images lately. Click in the image for a full size image.